Microsoft’s gorgeous and extremely powerful Surface Pro 6 is currently being offered via Amazon for what appears to be the lowest it has ever been discounted. Available for just $999, this is an excellent opportunity to own cutting-edge hardware without the usually associated cost. 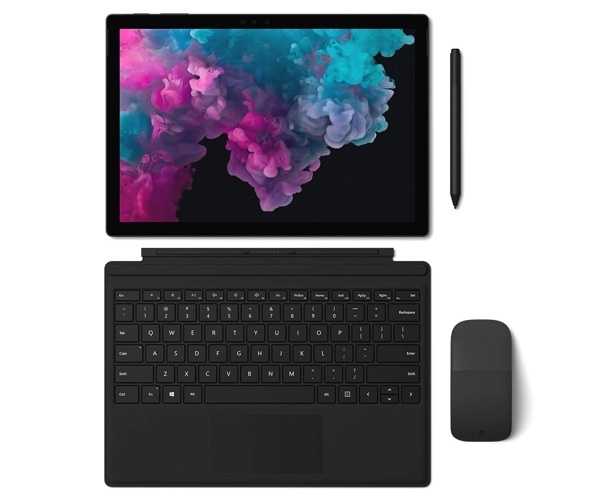 This purchase will get you Microsoft’s latest Surface Pro hardware which lets you define exactly how you want to use the device. You aren’t bound by the limitations of a standard laptop and you aren’t forced into using the device like you would a tablet. It offers a sleek and versatile experience that lets you use the hardware within your own rules. The Laptop Mode comes with a built-in kickstand to position the hardware exactly as you would expect from a laptop. The Tablet Mode does exactly what it says on the tin and allows the kickstand to be folded and the physical keyboard to be removed or folded away to offer a pure touch-screen experience. In this mode, you have a powerful and leading Intel-based tablet. If you prefer something a little more unique, then you can also take advantage of the Studio Mode which lowers the display for a 15-degree writing experience that brings the Surface Pen perfectly into play. From a hardware perspective, you will be getting a best-in-class experience thanks to the eighth-generation Intel Core processor that lives within it and gives it a huge kick. It comes with an accompanying 8GB of RAM to work alongside that processor to handle complex tasks and multitasking. Running multiple apps and processor and graphics intensive processes pose no problem to this workhorse. Owners will also benefit from an internal storage capacity of 256GB for apps, documents, and anything else that they wish to store on the laptop. 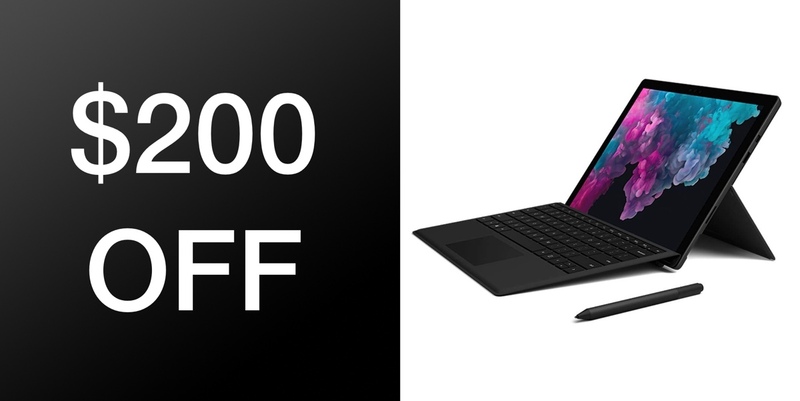 Considering that this beauty is still one of the best and most-appealing pieces of kit on the market, this is a truly appealing deal that will let you have Surface Pro 6 ownership for the lowest price previously possible for a brand new version. This deal won’t last forever so make sure that you grab it right now while the price is right. Not gorgeous and not extremely powerful, but crap.